Balram Halwai writes a letter to the president of China describing his transformation and his experience as driver and servant to a wealthy Indian family, which he thinks exemplifies the contradictions and complications of Indian society. Adiga’s portrait of the Indian capital is very funny but unmistakably angry. From his master’s Honda, an increasingly unhinged Balram observes a city riven with status anxiety, where every sparkling new mall hides in its hinterland a flea-bitten market for service staff; every bottle of Johnnie Walker has a bootleg counterpart. Above all, it’s a vision of a society of people complicit in their own servitude: to paraphrase Balram, they are roosters guarding the coop, aware they’re for the chop, yet unwilling to escape … Balram’s violent bid for freedom is shocking. What, we’re left to ask, does it make him – just another thug in India’s urban jungle or a revolutionary and idealist? It’s a sign of this book’s quality, as well as of its moral seriousness, that it keeps you guessing to the final page and beyond. The White Tiger echoes masterpieces of resistance and oppression (both The Jungle and Native Son come to mind). But Adiga depicts the modern Indian dilemma as unique. 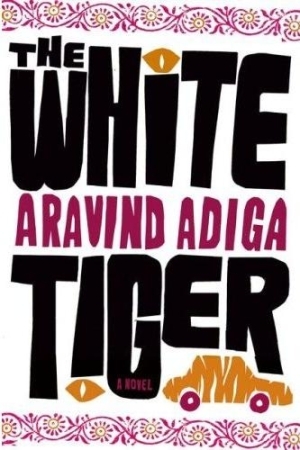 Intense family loyalties and a culture of servitude clash with the unfulfilled promises of democracy … The White Tiger contains passages of startling beauty – from reflections on the exquisite luxury of a chandelier in every room, to descriptions of skinny drivers huddled around fires fueled by plastic bags. Adiga never lets the precision of his language overshadow the realities at hand: No matter how potent his language one never loses sight of the men and women fighting impossible odds to survive. Halwai, we learn right away, has climbed his way out of this environment and now runs a successful start-up corporation, but he is wanted by the law for a murder. Over the course of seven days, he describes his miraculous journey to Chinese politician Wen Jiabao in a series of letters that veer between acid sarcasm and shaky remorse. This gambit is hardly the work of a finesse writer, but it allows Adiga, who formerly worked as a business journalist, to report on his country to an outsider without needing to apologize for the constant sweep and scope of his narrative lens … Sarcasm is Adiga's sledgehammer, morality his anvil. It's not a subtle tale, but there's a beaten, beveled perfection to its fury. What did you think of The White Tiger?